The majestic Shoshone waterfalls on the Snake River is just one of many reasons to visit Twin Falls. In fact, our area has been a popular spot for thousands of years, since arrowheads found here rank among the oldest dated artifacts in North America. When you visit our Twin Falls hotel, you'll be delighted by natural beauty like the nearby Snake River Canyon Rim. And be sure to check out the area where Evel Knievel attempted to jump the Snake River Canyon on a specially modified rocket cycle. Whether you're traveling on business or that well-deserved vacation, you'll want a hotel in Twin Falls that exceeds all your expectations. And that's just what you'll find at the Hampton Inn. We're conveniently located just one block from the College of Southern Idaho and the Magic Valley Mall. You'll find a delightful array of entertainment options just minutes from our comfortable Twin Falls hotel, including: theaters, shopping, golf courses, parks and the beautiful Shoshone Falls. Here at the Hampton Inn Twin Falls, we're passionate about taking good care of you. That's why we offer a broad range of services and amenities to make your stay exceptional. InIdaho has been partnered with Twin Falls hotels and motels for about 21 years. 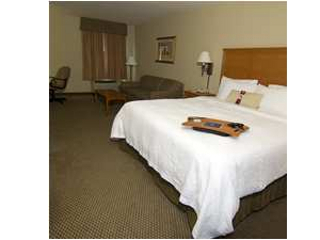 We guarantee the lowest prices for Hampton Inn Twin Falls reservations. 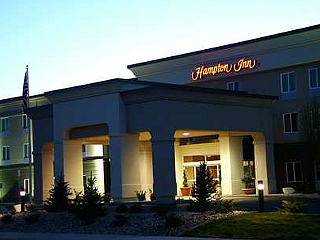 Our local idaho business is staffed by friendly and efficient employees who appreciate that you choose to make your reservations for Hampton Inn Twin Falls with us. 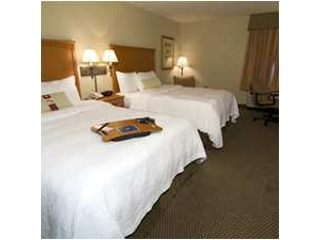 Our rates are always the same or lower as calling the Hampton Inn Twin Falls direct. 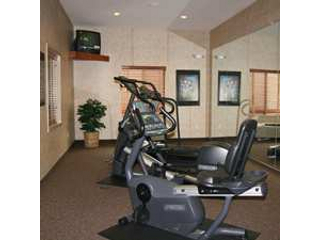 We also offer group rates for Hampton Inn Twin Falls - just contact us! Directions: From I-84 take exit 173 south. After 3 miles on 93 Hwy. you'll cross over the Perreine Bridge. Directly after the bridge make a right onto Fillmore Street North. The hotel is located on the left hand side at the corner of Fillmore Street North and Poleline Road. We do not have any current pre-built packages for Hampton Inn Twin Falls . This guest room offers a king bed, sitting area with a sofa sleeper, coffee maker, hairdryer, iron & iron board, microwave, refrigerator, high speed internet and Cable TV w/HBO. This guest room offers a king bed, whirlpool tub, coffee maker, hairdryer, iron & iron board, microwave, refrigerator, high speed internet and Cable TV w/HBO. This guest room offers a king bed, coffee maker, hairdryer, iron & iron board, microwave, refrigerator, high speed internet and Cable TV w/HBO. This guest room offers two queen beds, coffee maker, hairdryer, iron & iron board, microwave, refrigerator, high speed internet and Cable TV w/HBO. 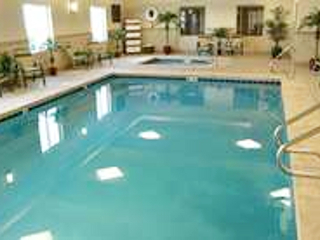 Please note: Guest reviews may mention certain amenities that may no longer be offered with Hampton Inn Twin Falls. Please check the amenities prior to booking to confirm. "It's new so the rooms are very nice and well-equipped....refrigerator, microwave....The breakfast buffet is okay...as compared to others we've had elsewhere. It really was very comfortable."